The rest of the verse is as follows: Therefore I will boast all the more gladly about my weaknesses, so that Christ’s power may rest on me. So, I started from this verse and worked my way backwards until I came to 2 Corinthians 11 and 12 where Paul writes about false apostles, boasts about his own sufferings and talks about the thorn in his flesh. What struck me about these particular passages is that not only do they support the argument against the prosperity gospel, but in places Paul is dripping in sarcasm — something I can definitely relate to. *My translation: Since you are obviously open to all kinds of audacious b.s., hear me out as well, because I’m actually going to tell you the truth. *My translation: How can you be down with the Truth, the Holy Trinity, the Gospel of Christ, then turn around and readily accept something that is in direct conflict with what you profess to believe? I wonder if I could interest you in a time-share opportunity. I’m not even going to comment on this particular passage. It pretty much speaks for itself. 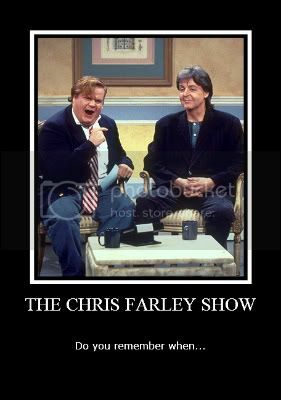 **Paul provides several more zingers, but I’ll stop there. I encourage you to read 2 Corinthians (again) in its entirety. I found it to be just loaded with insight and wisdom concerning this topic and others. Trust your pastor and others whom you consider to be wise counsel, but be like Ronald Reagan: TRUST, BUT VERIFY! And if someone tells you something and it doesn’t sit well with you, there’s probably a very good reason for that. If you are a believer, The Holy Spirit resides in you. If you believe that, then I invite you to visit me in Houston. I want you to explain to me face to face how my friend Dee (with her husband, children and grandchildren present) didn’t have enough faith to cure her cancer. That cancer and ten years of chemotherapy was God’s punishment because she didn’t have enough faith. Please explain to me that despite the fact that she lived a life of devotion to Christ , rarely complained, came to church and to our small group when she was in tremendous physical pain due to the sores and other ailments she suffered by the poisons being pumped into her body week after week, that it was her fault. Tell me about how her selfless, Christ-like attitude of humility and her servant’s heart was wasted on the countless friends, neighbors, family members, doctors, nurses and strangers that she witnessed to by words and by actions. That in the end, it was a waste of time. Please help me understand how it is possible that in her final days, when she was pumped full of morphine, she was able to speak to me in a moment of absolute clarity in order to encourage me to continue to the work that God has set before me. Convince me that her cancer served only as a curse, and not as a blessing. Please come and explain all of this to me in person. I double-dog dare you. And while you’re here, you can pop over to see my friend Kris and her mom and sort some things out for them as well. Actually, I have quite a few friends down here that need to be enlightened. Stacey, for example, needs to know why she can’t seem to conceive a child while newborns are being left in dumpsters. From here, you can jet up to Chicago and visit my friend Helen and her mom, then to Findley, Ohio where friends of Jeff and Tamara will tell you that while the massive floods destroyed their homes, the Hogans were spared because they are WAY more righteous than any of them. From there, back down to Georgia. Perhaps you can tag along with my friend Jamie and her husband Ken when they go to the hospital. While they are setting up for their photo session in the neonatal ICU unit, you can explain to the grieving parents that the stillborn child they hold in their arms is a direct result of their lack of faith. If this post has deeply offended anyone, I pray that it is for the right reasons. I also pray that before you dismiss this post outright as lies and character assassination, you do some research of your own. *I believe that all scripture is the inerrant word of God, and I mean no disrespect to His Word or to you. **What strikes me most about Paul’s sarcasm here is that it’s really not his style at all. He goes out of his way to make a point. And while sarcasm comes quite naturally for me, it’s not typically so caustic and mean spirited — I’m also attempting to make a point. 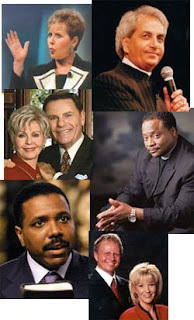 PLEASE NOTE: While I am of the opinion that most of the “healings” that occur on TBN, Daystar, et. al., are mostly a complete sham, I do not dismiss the idea of faith healing outright. God is God. He can do anything. This includes the healing of the sick IN SPITE of these so called faith healers, not because of them. Furthermore, I have had a group of believers lay hands on me in prayer and I have done the same with and for others. But it is God’s power and God’s will that brings about healing, not our own. We have the idea that God rewards us for our faith, it may be so in the initial stages; but we do not earn anything by faith, faith brings us into right relationship with God and gives God His opportunity. God has frequently to knock the bottom board out of your experience if you are a saint in order to get you into contact with Himself. God wants you to understand that it is a life of faith, not a life of sentimental enjoyment of His blessings. Your earlier life of faith was narrow and intense, settled around a little sun-spot of experience that had as much of sense as of faith in it, full of light and sweetness; then God withdrew His conscious blessings in order to teach you to walk by faith. You are worth far more to Him now than you were in your days of conscious delight and thrilling testimony. Faith by its very nature must be tried, and the real trial of faith is not that we find it difficult to trust God, but that God’s character has to be cleared in our own minds. Faith in its actual working out has to go through spells of unsyllabled isolation. Never confound the trial of faith with the ordinary discipline of life, much that we call the trial of faith is the inevitable result of being alive. Faith in the Bible is faith in God against everything that contradicts Him – I will remain true to God’s character whatever He may do. “Though He slay me, yet will I trust Him” – this is the most sublime utterance of faith in the whole of the Bible.